An Affair to Remember meets Mardi Gras and paves it's own way to glory. Erin Nicholas proves that sentimental can be tempting. My Best Friend's Mardi Gras Wedding scores plenty of laughs, but as always Nicholas' continues to shoot for the heart. Josh and Tori are strangers who have a standing date on Mardi Gras. Time and distance make a relationship unthinkable, but their hearts refuse to let that get in the way. Is their romance, a heartache waiting to happen or is a happy ending on the horizon? Ain't no party like a romance party because the love lasts all year round. 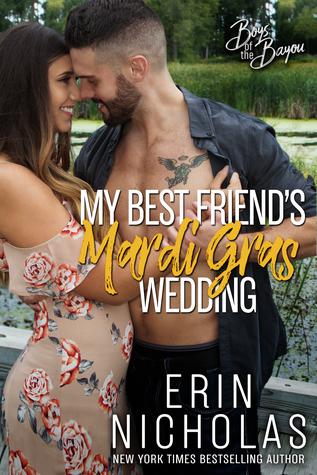 Sign into Goodreads to see if any of your friends have read My Best Friend's Mardi Gras Wedding.